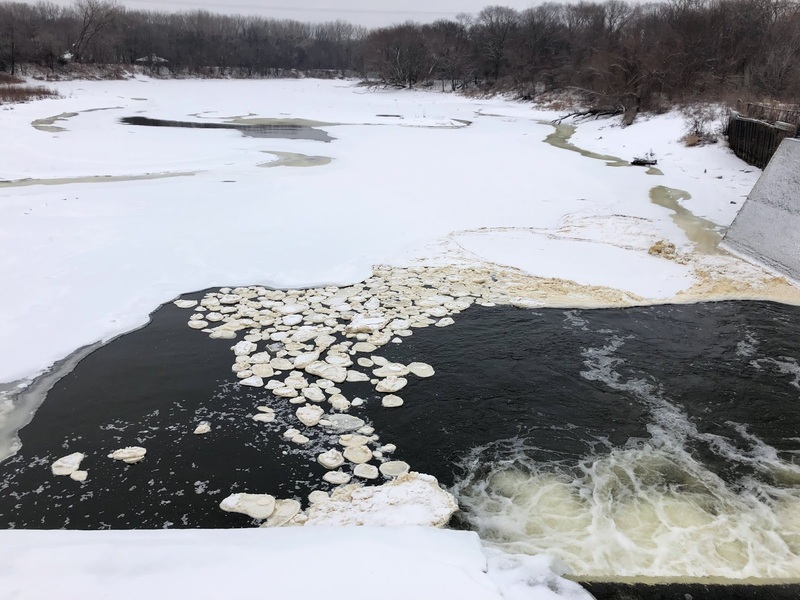 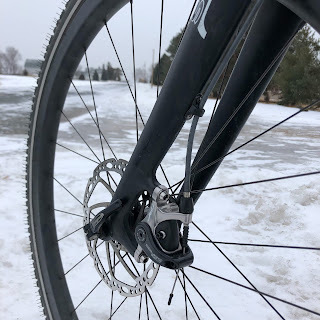 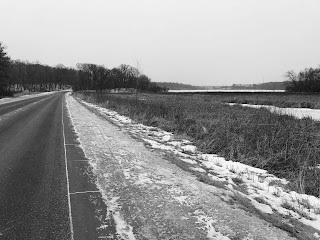 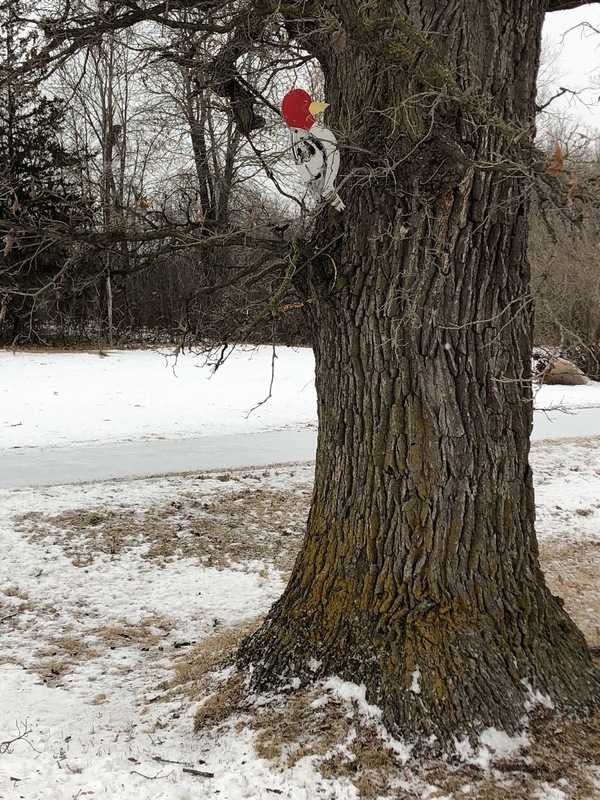 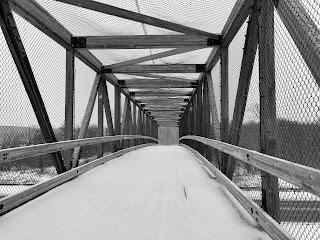 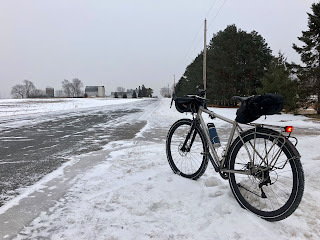 On Monday, 01-21-19, I went out for s short 17 mile ride around the Elm Creek Park area. 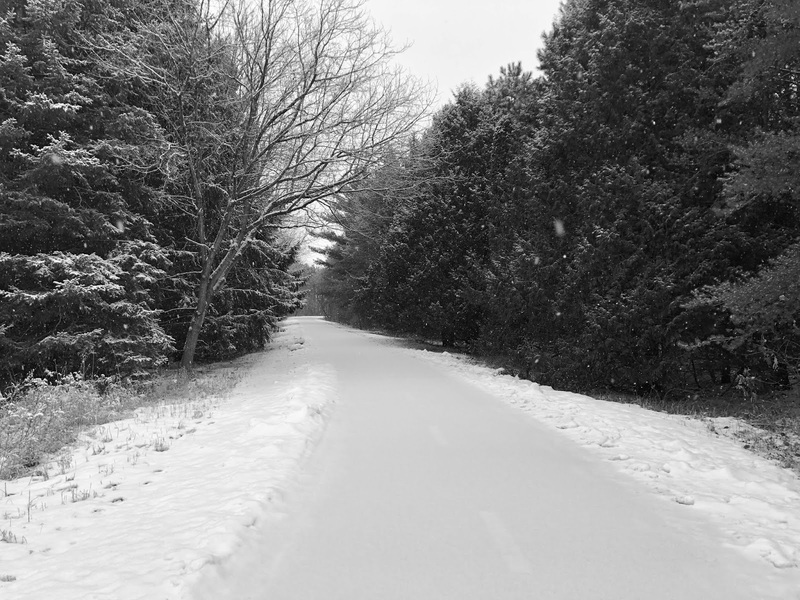 I waited around until there was a light snow falling before I started my ride. 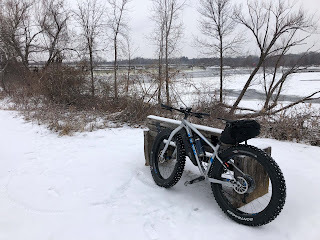 The only thing was it lasted only about an hour, but it still was a good day on the bike. 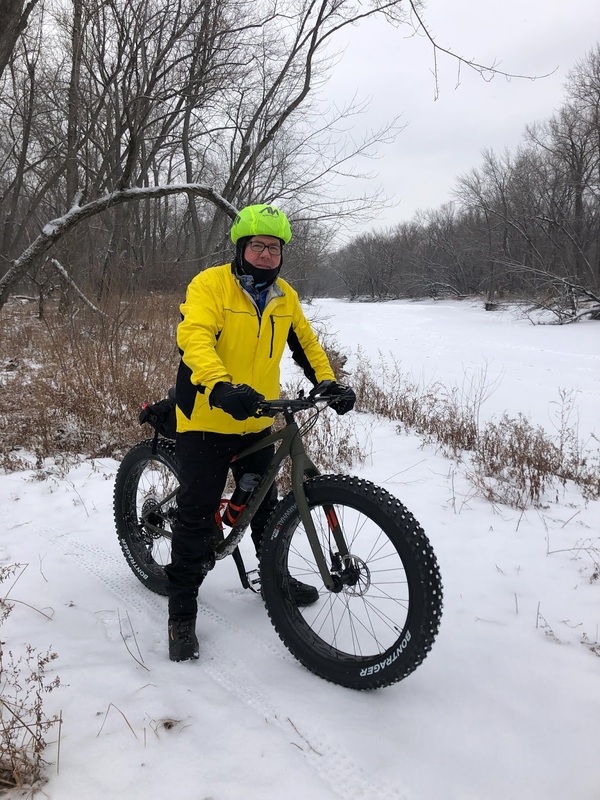 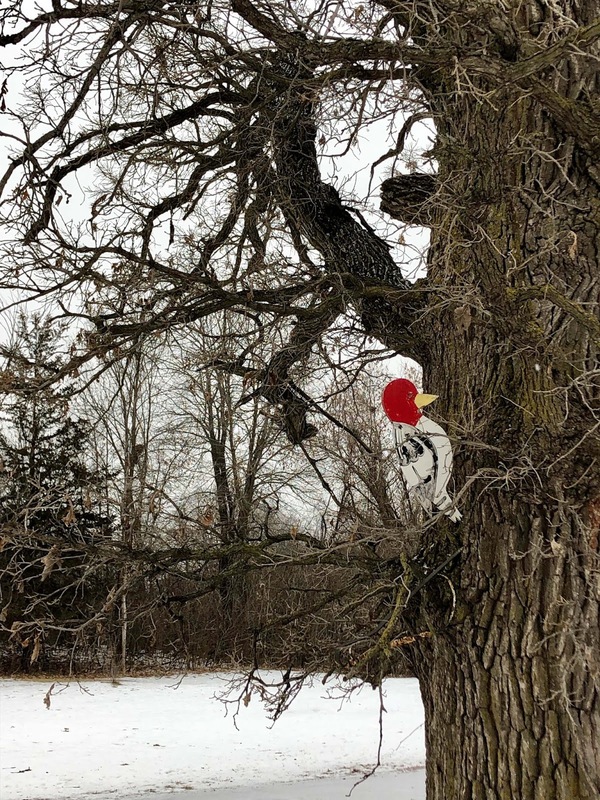 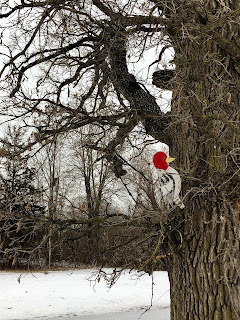 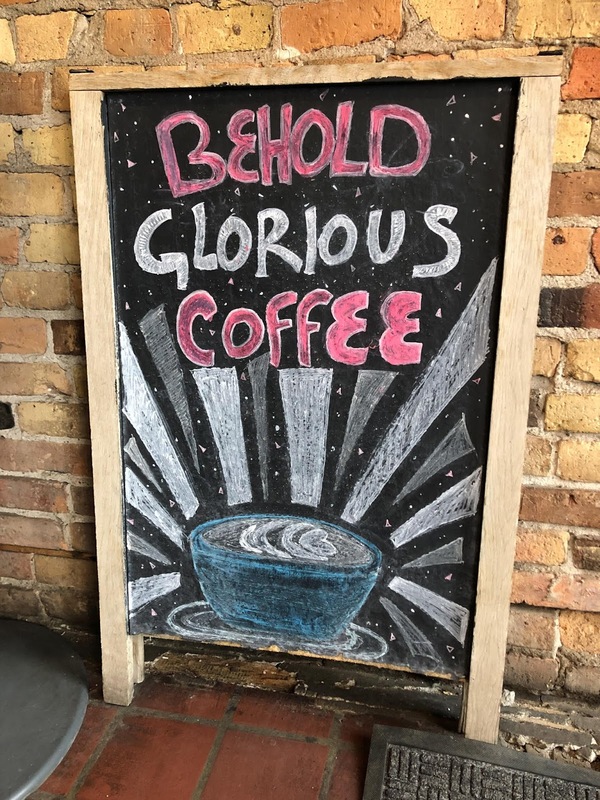 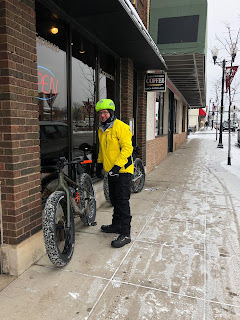 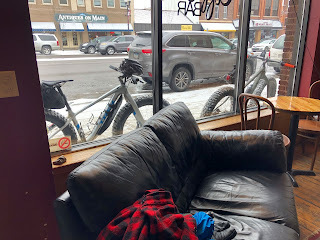 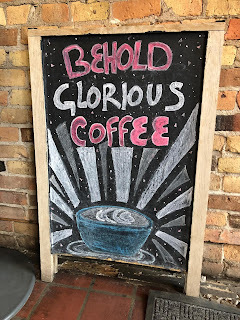 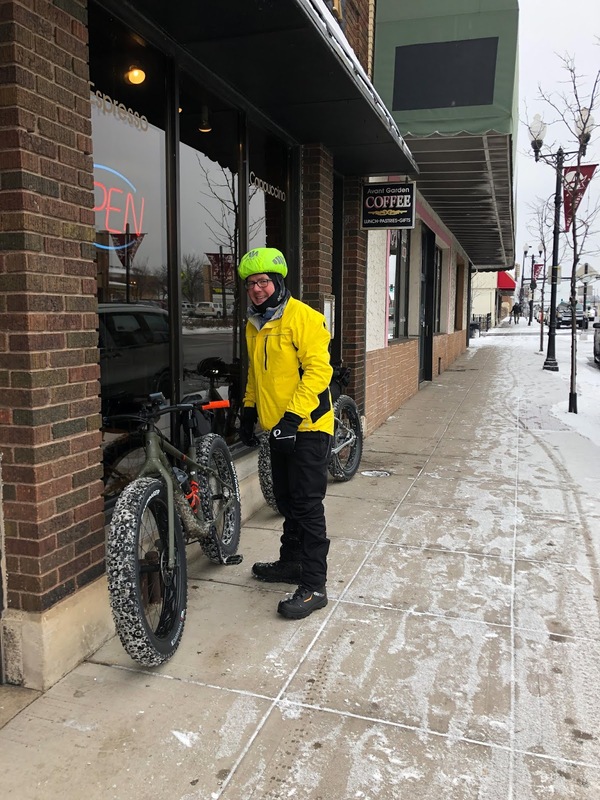 On Tuesday, 01-22-19, Chuck showed up to do my TCBC Fat or Not bike ride out of Champlin. 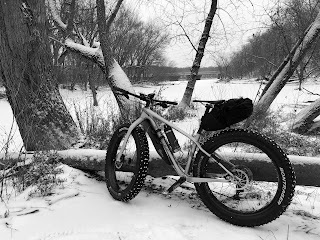 I made the decision to ride the fat bikes shortly before the ride started. 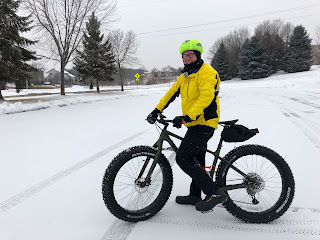 We ended up riding for 30 miles. 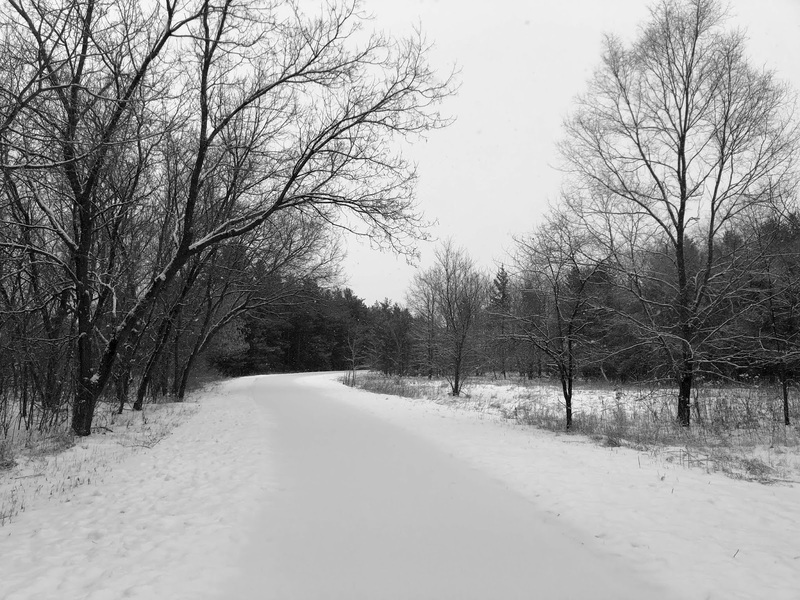 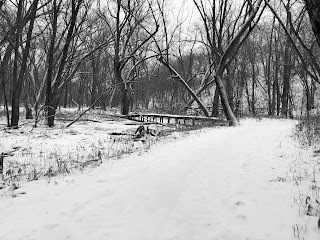 The trails were still very icy underneath the 1 inch snow fall from over night. 01-22-19...The Other Chuck at the ride start..